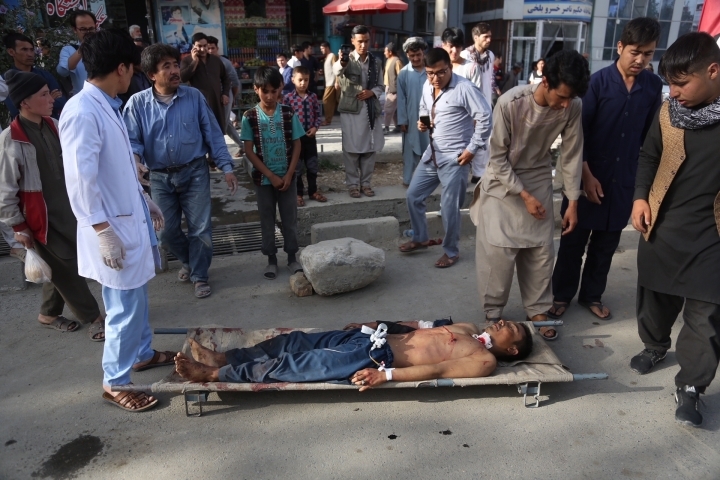 The bombing, blamed on the Islamic State group, was the latest assault on Afghanistan's Shiite community, which has increasingly been targeted by Sunni extremists who consider Shiites to be heretics. Hossain recounted to The Associated Press how when he entered Fareba's classroom, he saw parts of human bodies all over student desks and benches. 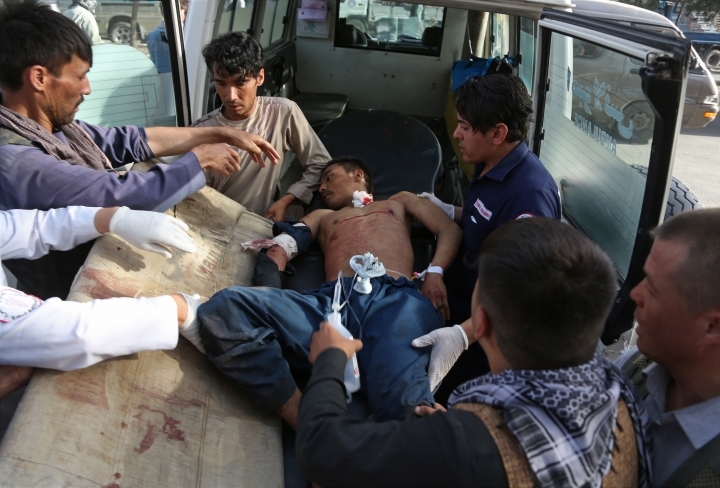 "There was blood everywhere, all over the room, so scary and horrible," he said. 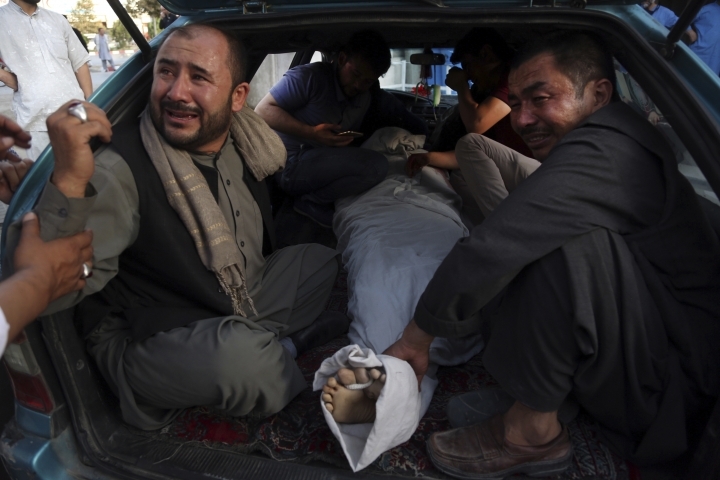 After finding out that his daughter was safe, he helped move the wounded to hospitals. 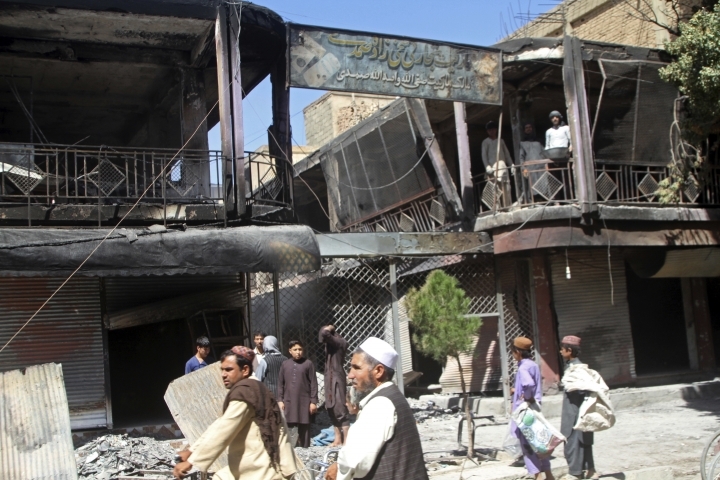 No group immediately claimed responsibility for the attack but Jawad Ghawari, a member of the city's Shiite clerical council, blamed IS, which has carried similar attacks on Shiites in the past, hitting mosques, schools and cultural centers. 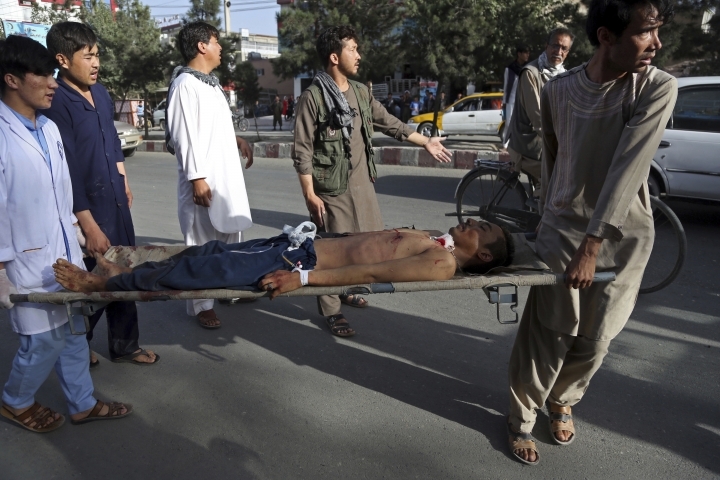 In the past two years, there were at least 13 attacks on the Shiite community in Kabul alone, he said. 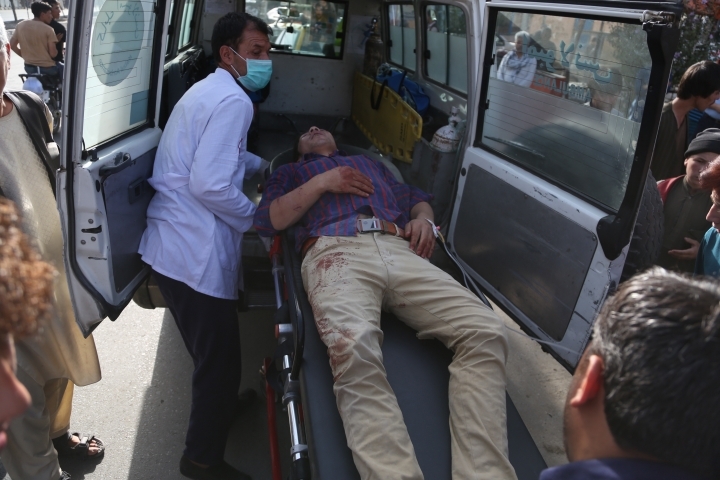 Afghan President Ashraf Ghani condemned the "terrorist" attack that "martyred and wounded the innocent" — students attending class — and ordered an investigation into the attack. 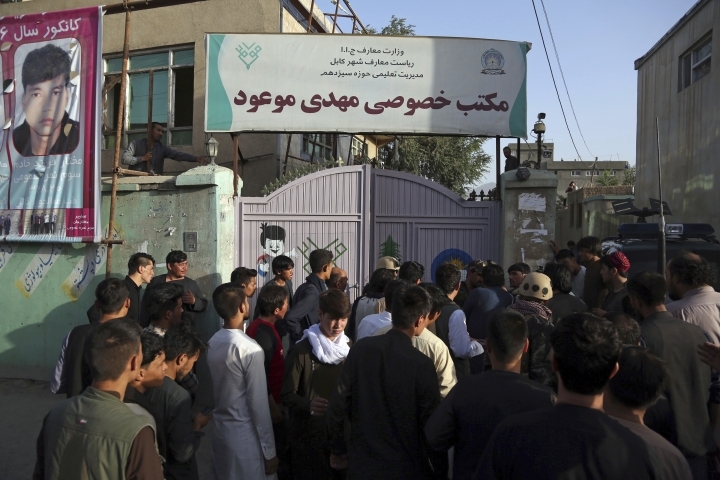 "By targeting educational and cultural centers, terrorists have clearly shown they are against all those Islamic principles (that strive) for both men and women to learn and study," Ghani said in a statement. 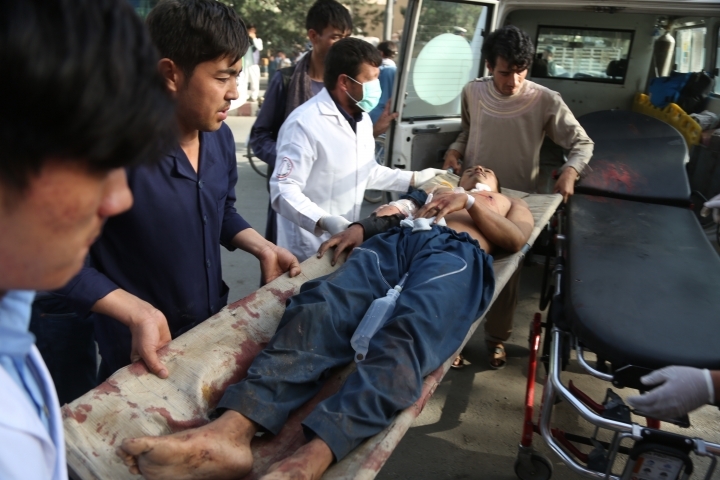 The U.N. Security Council condemned the bombing as a "heinous and cowardly terrorist attack," saying that it "underlined the need to hold perpetrators, organizers, financiers and sponsors of these reprehensible acts of terrorism accountable and bring them to justice." 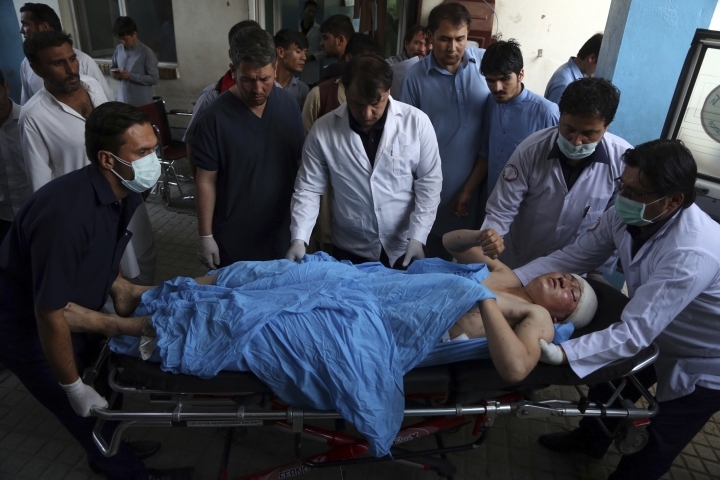 The head of the U.N. children's agency denounced the attack, saying it's "deplorable" that children continue to be hardest hit in the growing violence across Afghanistan. 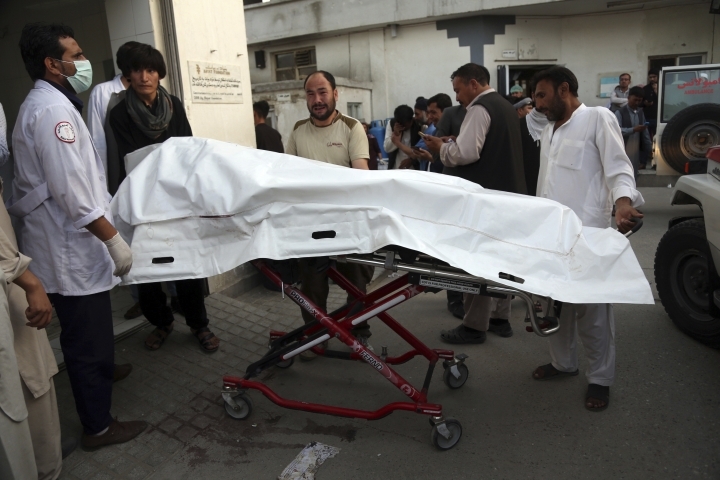 "Children are not, and must never be the target of violence," said UNICEF's executive director Henrietta Fore. 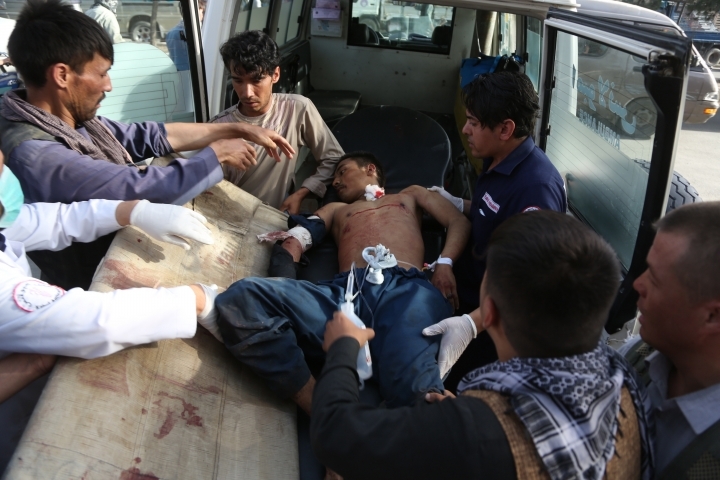 The attack took place in Baghlan province's Baghlan-I Markazi district, said Mohammad Safdar Mohseni, the head of the provincial council. 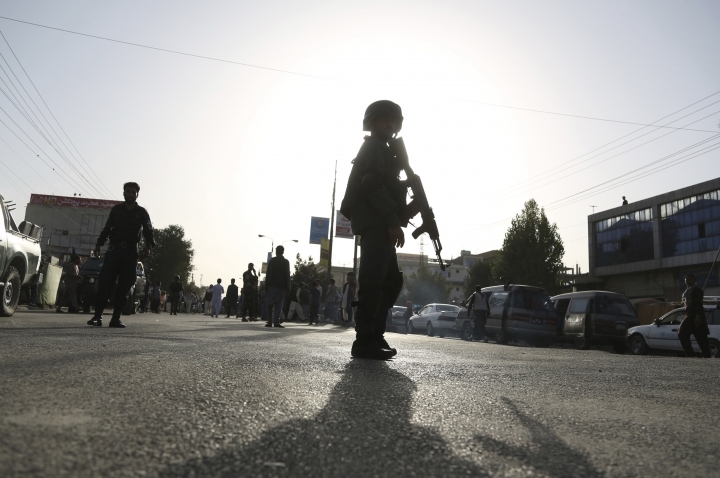 The Taliban launched a coordinated offensive last Friday, overwhelming the city's defenses and capturing several neighborhoods. 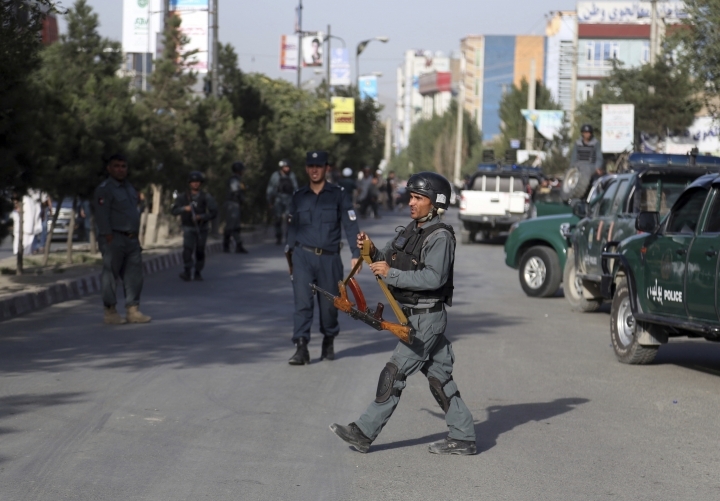 Afghan forces repelled the initial assault and in recent days have struggled to flush the insurgents out of residential areas where they are holed up. 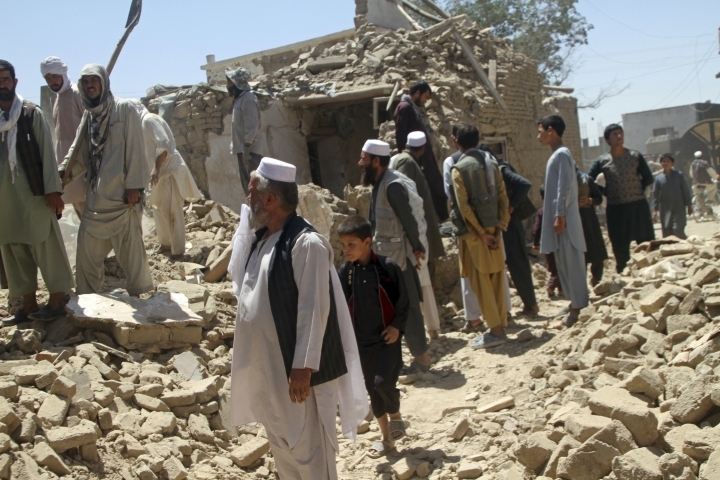 At least 35 Ghazni civilians have been killed, said Arif Noori, a spokesman for the provincial governor. 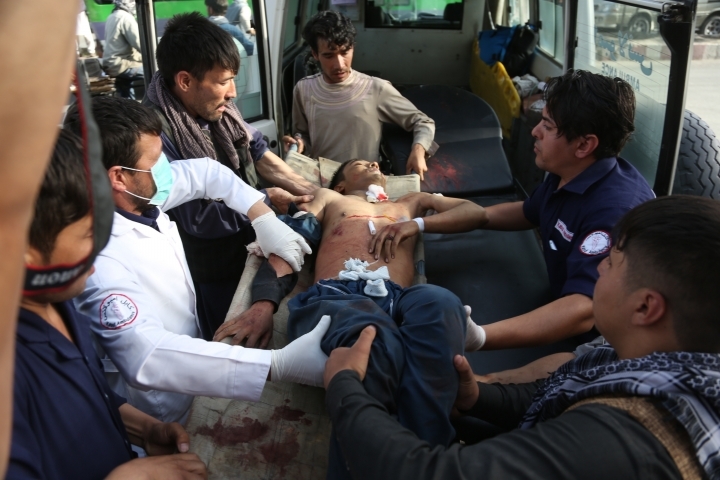 The wounded were still arriving at the city's only hospital, which has been overwhelmed by casualties, he added.